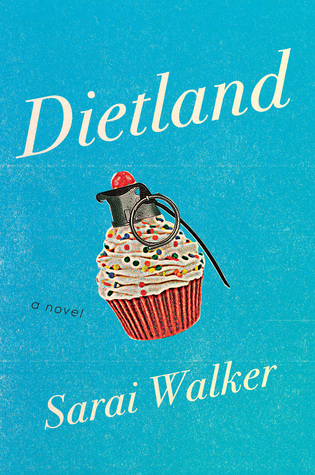 Dietland by Sarai Walker was a subversive little piece of fun. We might be talking about this over on The Socratic Salon later on this summer. You'll want to hunt down a copy. It's worthy of a discussion, that's for sure. 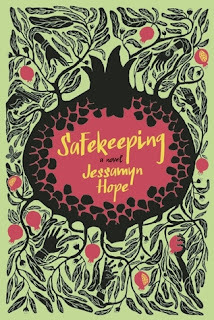 Safekeeping by Jessamyn Hope was marvelous. It hit all the right notes and I'm going to be pondering the ending for a long while. I'm reading Misery as part of a readalong. There's nothing like a Uncle Stevie readalong. I'm always so happy to be re-reading an old favorite with a group of fabulous people. I have so much good stuff coming up that I don't know where to start. The Beautiful Bureaucrat is certainly one that I'm looking forward to. Just look at that cover! Swoon. 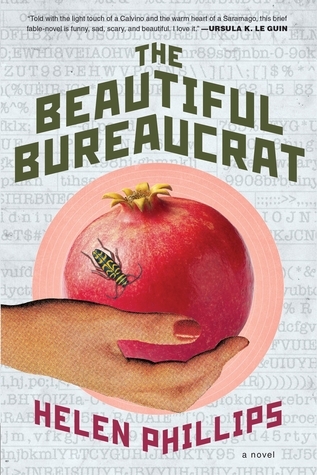 I want to pet the cover of The Beautiful Bureaucrat every time I see it. It's stupid gorgeous and I cannot wait to read it :D I think it's next on my mental list. 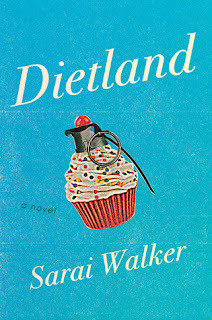 I just read Monika's (Lovely Bookshelf) post on Dietland and I would love to read it! I've not heard of Safekeeping, but I'm going to have to look that one up; I like its cover, as well! The cover of The Beautiful Bureaucrat IS amazing, though - wow! I'm a sucker for a cool cover, I have to admit. I'm currently reading Summerlong by Dean Bakopoulos, speaking of pretty covers; I've really enjoyed it, so far, and I'm almost finished. Hope your Monday is going well! Dietland and Safekeeping both sound good... off to find out more about them. I'm reading Elena Ferrante's The Story of a New Name now. Not usually one for series, but am enjoying this. I've been hearing a lot of good things about that series, JoAnn. I'm not usually one for series either but I admit to being very intrigued by that one! "Subversive little piece of fun." Could you be any more cryptic? How so? What do you mean by that? Please share!! Oh, I hadn't heard of Safekeeping, but it sounds like it's worth checking out. It definitely is. I really hope it finds a large audience! Okayyyy because you made it so easy to add to my goodreads shelf, I finally added Dietland to my TBR. You get a cookie. Mmm, cookie. :D I hope you dig it. It's ripe for discussion. I echo Shannon: definitely want to pet that cover. Everything looks so good! I need to research Dietland. Dietland just came into the library for me, so pumped to get to that soon! I'm SUPER intrigued by The Beautiful Bureaucrat with all the recent chatter, but have some June releases to get through first! The Beautiful Bureaucrat is SOOOOOOOOO beautiful. And I can't wait for Dietland to get to the library for me! It's a recent favorite and I can't recommend it enough! I really want to read The Beautiful Bureaucrat (badly); it's one of my most anticipated. Dietland is on my TBR to get to this year. I haven't seen Safekeeping around a whole lot either which is a shame. It's so lovely. Great setting, great time period, wonderful characters and construction. You have a great week too, Lindsey! I saw that axe on the cover and I STILL did not quite see what happened coming in Misery. It was all so psychological up to that point, just tense. And then Uncle Stevie went and made me throw up a little in my mouth. I can hardly make myself read on but also hardly make myself put it down! Ha ha ha, he's SO good at that! 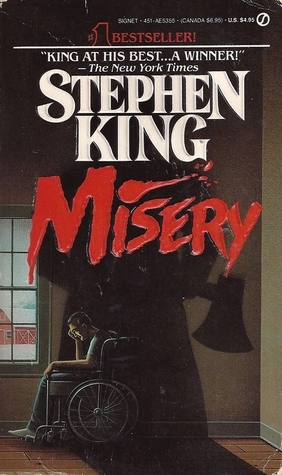 Misery is one of my very favorites of his. The tension just about drives you mad!